This small but powerful tank engine is a model of the GWR 1101 class of 6 engines built in 1926 and used largely in Swansea Docks. The 0-4-0 wheel arrangement enabled it to negotiate the tight curves found in docks. 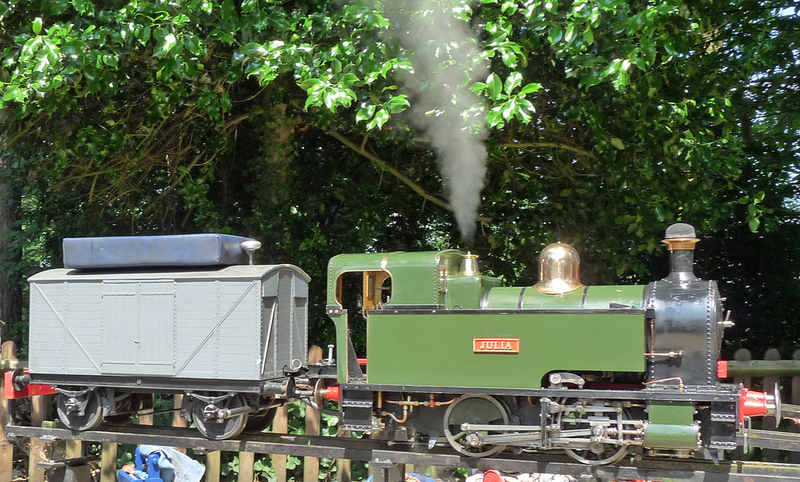 The original locos were fitted with a bell, an unusual feature on UK engines. This was to warn dock workers of its presence in much the same way that lorries "beep" when reversing today.